The passing of Harvey Kaylie two weeks ago was a difficult loss for his wife, Gloria, his family, and of course for the overall Jewish community, on so many levels. Harvey Kaylie was a successful entrepreneur and a generous benefactor, in his own understated way, of numerous institutions here in the U.S. and in Israel. “Harvey would refer to the Hampton Synagogue as ‘the pebble’ that for him created a ripple effect that was seen and felt by thousands over many years,” the rabbi said. Harvey and Gloria Kaylie endowed and produced the funding for what would become known as the Kaylie Center, located across the promenade from the shul, where years and years of lectures, dinners, and social programs have been held, serving to enlighten shul members, visiting guests, and, indeed, the entire Jewish community. One of the most outstanding projects and institutions created by Harvey and Gloria is a summer camp that is known simply by their name — Camp Kaylie in Wurtsboro, New York, in the Catskills. How the association between the Kaylies and Ohel came about is a beautiful, classic story about how the ideas of people like Harvey and Gloria, who have a burning desire to do good and help the less fortunate, actually evolve and come to fruition. And all of these philanthropic endeavors can be traced back to the inimitable Hampton Synagogue and the dynamic engine that makes it all happen out there, Rabbi Marc Schneier. Mr. Mandel says he traveled to Westhampton with Ohel president Moishe Hellman, and that is where the illustrious friendship was forged between Harvey and Gloria Kaylie and Ohel. So who was this man, this unsung hero of sorts? Harvey Kaylie founded Mini-Circuits Inc. in 1969 and served as its president. Before that, he was an electronics manager of Alborn Industrial Laboratories, located in Deer Park, New York, from 1964 to 1968. He also served as an engineer of Dumont Laboratories in Clifton, New Jersey. From 1961 to 1964, he was employed by Amperex Electronics Corporation, and by ITT in Nutley, New Jersey, from 1960 to 1961. He received a master’s degree in electronic engineering from New York University in 1964. He held a BEE degree from City College of New York. Harvey was erudite and deeply committed to the things he believed in — mainly, reaching out and assisting those in need. The idea behind a summer camp the likes of Camp Kaylie was devised and developed over time in a series of meetings within the group as well as with Harvey and Gloria. “We did not just want a camp with facilities for children with disabilities,” explained David Mandel on the phone earlier this week. The board of Ohel and the Kaylies wanted to take the effort to the next level. The idea evolved into setting up a camp where everyday children would enjoy the summer-camp experience together with kids with challenges, Mandel explained. “The children would play and swim together, they would live in the same bunks, and it would be one very happy and productive place,” he said. On his annual visit to the camp, Harvey would always address the campers with an inspiring and deeply emotional message. Over the last many years, Harvey dealt with a series of health challenges that resulted in his becoming a double amputee two years ago. But not only did that not hold him back, these things that looked like obstacles from the outside are what spurred him and his family to do even more. Today, in addition to being a state-of-the-art camping facility, Camp Kaylie also features a respite center; over the summer, as many as seven couples who have children with disabilities can come up and enjoy the beautiful surroundings while absorbing the extraordinary atmosphere that is Camp Kaylie. I heard it from both Gloria Kaylie at the shivah house last week and again from David Mandel this week that Camp Kaylie was Harvey’s pride and joy. Of all the various charitable endeavors that he was involved in, they both said, it was clear that Ohel and the camp were indeed his favorite. In fact, Gloria Kaylie retold the story of the idea to purchase a second camp facility so that instead of the boys and girls attending for half a summer each, they could each enjoy a full summer at Camp Kaylie. Gloria explained that they toured a number of possible locations in the Catskills but each time, after reviewing each site, Harvey would say that the potential facilities they had seen were just not on the level of the original Camp Kaylie in Wurtsboro. To reflect now in retrospect on the life of a quiet and understated philanthropist, so much good had its genesis inside the walls of the Hampton Synagogue, and always in consultation with Rabbi Schneier. 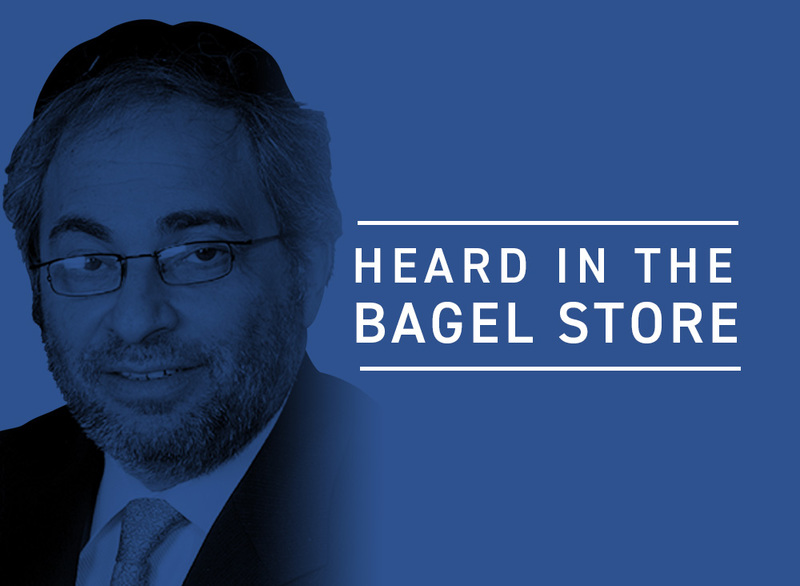 Whether it was Ohel or his commitment to UJA or AIPAC, Harvey sought the rabbi’s endorsement. While I have personally known Gloria Kaylie for almost four decades, I did not have the opportunity to sit and talk with Harvey until last summer when he was at a table with us at seudah shelishit at the Hampton shul. He was sitting next to Gloria and across from my wife and me. I wasn’t expecting him, but there we were, as darkness set in on a Shabbos evening, dining in a typical late-Shabbos-afternoon fashion while waiting for Ma’ariv and then Havdallah. I thought that this was a unique opportunity, so I asked Harvey directly, “How do you decide what your philanthropic priorities are?” That launched a half-hour discourse about how he analyzes a cause and how he wants his donor dollars to be a catalyst and a motivation for others to get involved and give as well. His son Marvin worked for the corporate food services company at Chemical Bank in the 1980’s and possibly later as a messenger. Marvin was a special and kind person who was an avid Mets fan and a proud Jew.